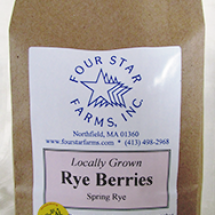 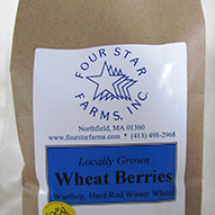 Hard red wheat berries can be cracked or cooked whole, sprouted, or milled into bread flour. 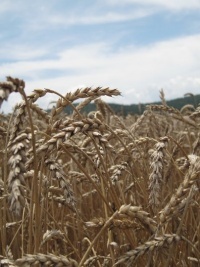 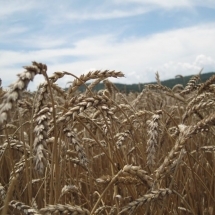 Higher in protein and chewier than soft wheats, hard wheats may take a little longer to cook and can benefit from pre-soaking when cooking them whole. 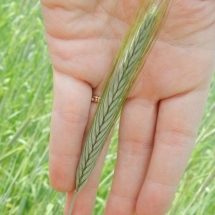 Glenn (hard red spring): has a mild wheat flavor and exceptional strength! 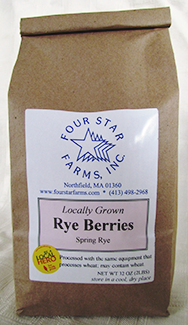 (As-Is Protein: 14%; Falling Number (401). 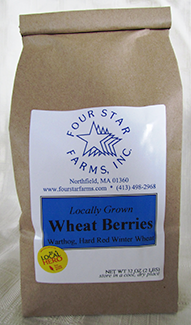 Warthog (hard red winter): has a plump berry and more intense wheat flavor (As-Is Protein: 11%; Falling Number 391). 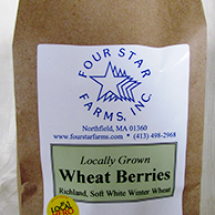 Redeemer (hard red winter): has a larger berry, a milder wheat flavor (As-Is Protein: 11%; Falling Number 244). 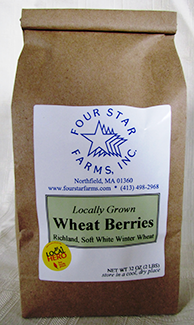 The descriptor “hard red winter” refers to the protein, color, and growing period of the grain. 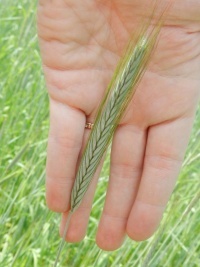 Spring or Winter: the time of year we plant the seed (winter grains are typically planted in late September, the wheat begins to grow before the ground freezes, goes dormant over the winter and begins to grow again once the ground thaws; spring grains are planted in the springtime after the threat of frost has subsided).